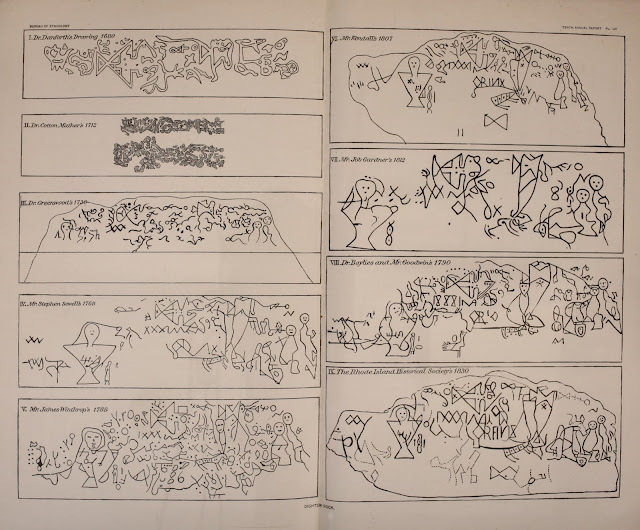 A set of drawings of the pictographs found on Dighton Rock Massachusetts. From Annual report of the Bureau of Ethnology to the Secretary of the Smithsonian Institution 1880 (HERE). 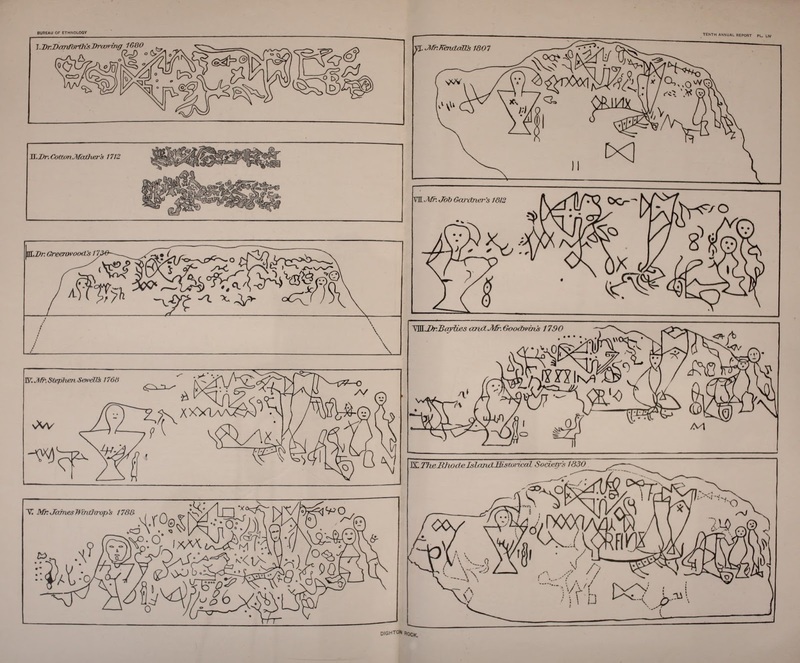 Many of these are copied onto a full page image in Envisioning Information by Edward Tufte.